Go to https://aim.applyISTS.net/EGIA and click the “Don’t have an account? Register!” link to create a new account. If you already have an existing ISTS account, please log-in. Once you reach your home page, click the “Add New Application” button. In the box that appears, enter the program key: EGIA and click “Apply” to be redirected to the application form. Preference will be given to high school seniors and students age 18-26. The first 350 applicants will be considered. If interest dictates, the limit may be raised to accommodate for more applications. ** Applicants are required to upload documentation that the eligible HVAC program is offered at the school applied to/enrolled. Employees and children of employees of EGIA and the EGIA Foundation are ineligible to apply. 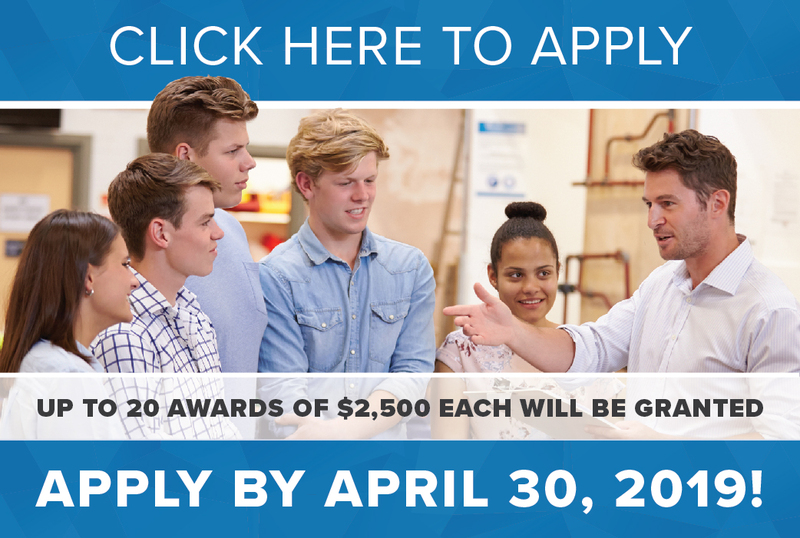 Scholarships will be awarded based on eligibility requirements, academic merit, financial need, and interest of pursuing a career in residential HVAC or home performance contracting. Applicants will be asked to explain what inspired them to choose an HVAC technical education and their plans after graduation.